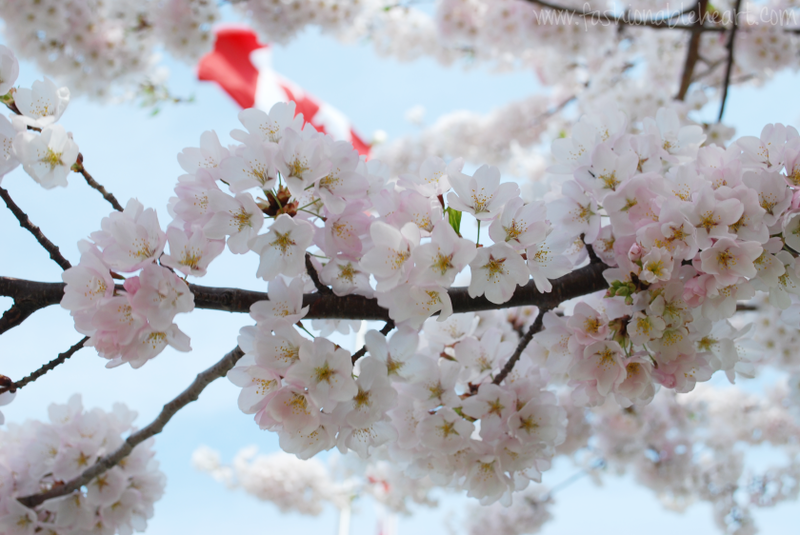 It is cherry blossom time in the city of Toronto. There are a few places you can go to see them and I finally ventured out to do so. 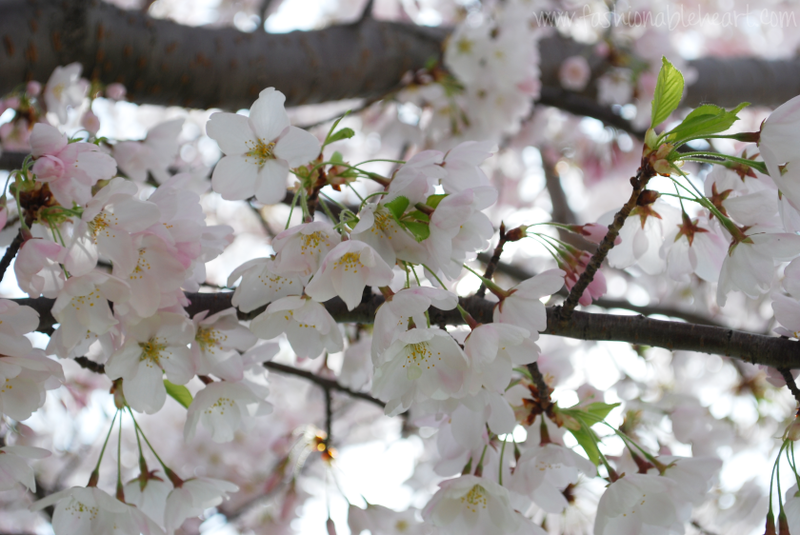 I have a thing for cherry blossoms and I really recommend the Cherry Blossom Festival in Washington, DC, if you ever get the chance to go. They don't last long enough, if you ask me, but maybe that just adds to their beauty! While most of the crowds were venturing to High Park in the city, I took heed of a tip on Twitter and went to Exhibition Place on Friday. I saw two people the entire time I was there and didn't have to fight to get to the trees or try to aim my camera over someone's head. 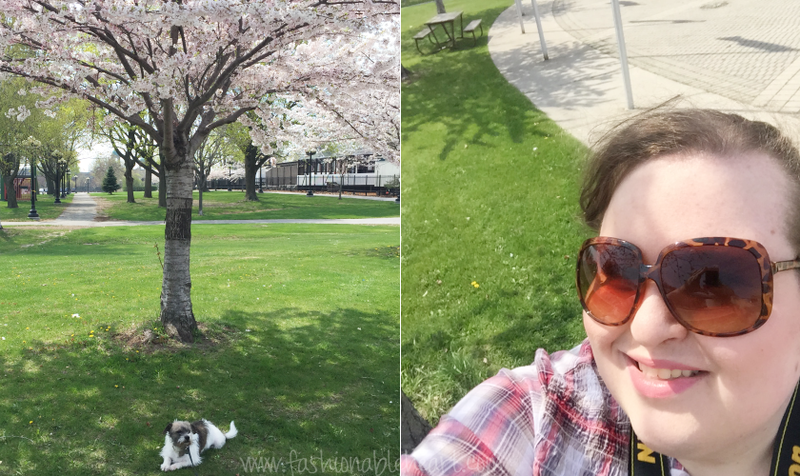 For someone who hates crowds and loves cherry blossoms, I was one happy gal to learn that the Ex has a row of the trees near the big fountain. The Canadian flag in the background was a happy accident! Just a girl and her dog enjoying a beautiful spring day in the best way. Happy happy happy. 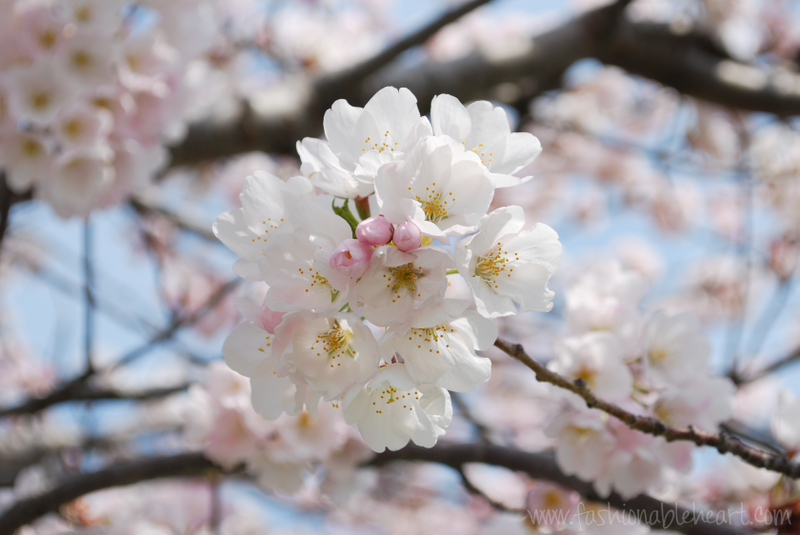 To see more of my blossom pictures, you can visit my photography blog!